This morning I headed out to meet a friend to ride. However, when I arrived I found everyone finishing up with vaccinating cows and getting ready to brand, vaccinate, and for one calf, castrate calves. 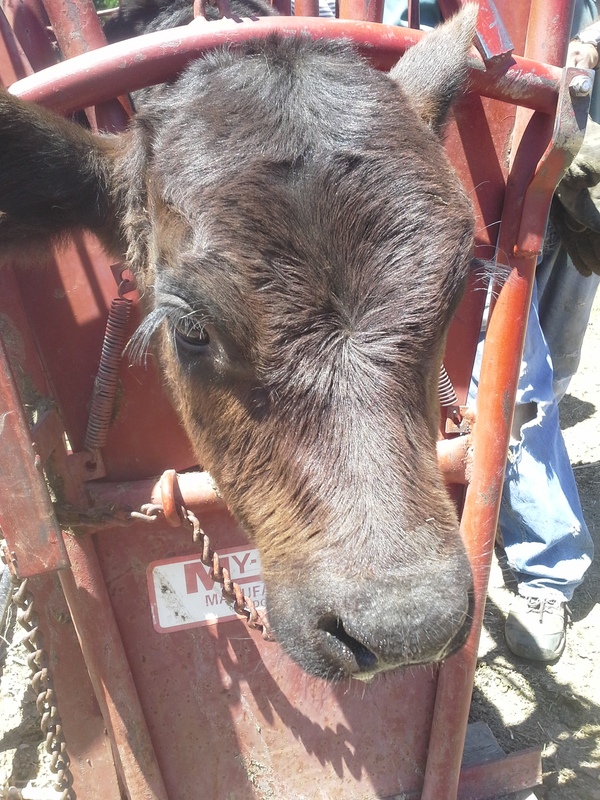 So I spent my morning helping vaccinate and brand instead. By the time that was finished, it was getting hot so my friend and I hit the Tumbleweed Equipment Auction instead. In all the years I’ve lived here, I have never made it to an auction. It was interesting. In addition to equipment (vehicles, trailers, tractors, etc.) there were stacks of building materials and then a lot of miscellaneous items ranging from tools to household goods to furniture to odds and ends. There was an auctioneer in a trailer being towed by a truck auctioning off trailers when we arrived. Another auctioneer, also in a trailer being towed by a truck, was handling the miscellaneous goods. An employee would stand with a large pole on or next to the item being auctioned and would work his way up and down the aisles as each item was sold. There were several items that went for significantly less than I would have expected and some items that went for amounts that astounded me – like 45.00 for a fleece blanket that could have been bought for less than 10.00 new at Wal-Mart. The next time I am in the market for a farm truck or trailer, the Auction will definitely be on my list. A nice four-horse gooseneck stock trailer sold for 1,000.00. I don’t envision myself going again though unless I have something specific that I’m looking for. 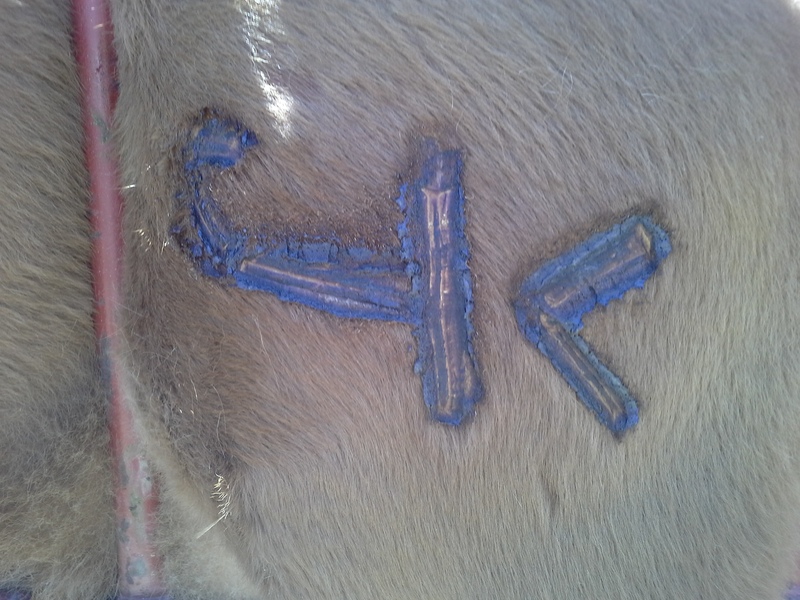 This entry was tagged Cows. Bookmark the permalink. I’d suggest you have an idea of what the materials would go for at Rak’s before bidding. From what I could tell, some of the deals really weren’t deals. And be prepared to have to bid for entire pallets of materials. I’m on the mailing list now so will let you know the date of the next auction.